It is also possible that the owners of the house on the front knew exactly what was going on, and have engaged the relevant accountants and lawyers to ensure that they receive rental income (or a roof over their heads), a capital gain, and a tidy sum from the government when it is eventually acquired. By the same token, it doesn't look like that small houseblock (originally a back yard) is actually needed in the plan, and could just be left sticking out. That's at least an option available to negotiators to ensure the government does not overpay. Yeah, referring to the stretch between Regency Road and Torrens Road isn't including the pedestrian crossings at those points. Plus the crossing at Regency Road barely counts as being suitable for pedestrians given I count four different crossings required to get just from the east to the west side. I never said anything about their ability to do, just why you would. For compulsory acquisition it is based on Market value at the time of acquisition, nothing else. The fact they built the property now will be of little influence. Also, South Road updrade has been planned for a while with all sides politics. Bit of a stretch to claim ignorance. ...so assuming that the market value of a house is higher than the cost of a house and the market value of the land it is on, then the owner gets a capital gain through building and selling, and could have received some rental income in between. Was the back yard cleanup and subdivision done after it became likely to build the road? Streetview plus looking back through this forum is unclear, but it shows For Sale signs on both that house and the next one north on South Road in the last decade. 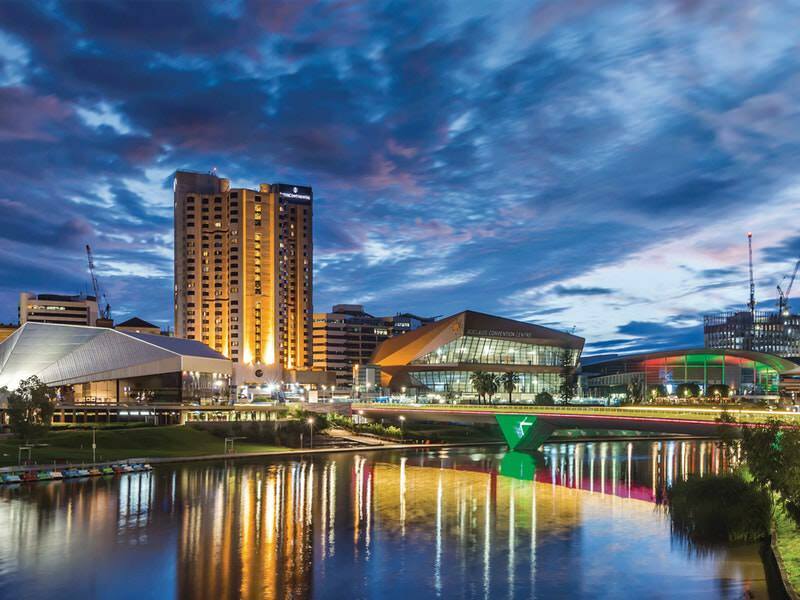 What is the average time that owner-occupiers own a house in Adelaide? I lived in my last house for 20 years, and have been in this one for six, both built new for me. The house across the road has been sold twice since it was built after mine, all three owners have lived there. That means I'm on an average of 13 years, the house across the street is on an average of 2 years. Most of the others in the street are somewhere in between. Sorry others have said about buildings being approved along this stretch each time someone builds something. Exactly the price is based on when it is acquired which is now after this building is built. People build new houses and sell them for a profit all the time, it is now possible this owner will make more money on this property as part of the sale to the motorway. I dont think anyone needs to claim ignorance. They are totally in their right to improve the property they own. In many cases it could be wise to do something major like build a new house to get rent and then later a higher value. No ignorance just standard improving the value of your property. onthehouse .com .au will possibly tell you the sale history & rough current market value of the house in question. If the data is accurate & up to date it looks like a lot of properties around Pym St were sold in 2017 & 2018, probably to the govt. There's likely only a couple of holdouts left now. Re: the house at Pym Street, the owner was legally within his rights. Unless there is a concrete plan on council's desk regarding the future of the property, then development can be approved and proceed. That's not how compulsory aquisitions work, the Government aren't out in competition to buy it, it isn't a fair arms length transaction. Think of being forced to sell something to 1 person who is also telling you what its worth. Its more like a mortgagee in possession sale scenario. On this topic, I drove along the stretch this afternoon and already multiple homes on the eastern side of the corridor have been vacated. yeah true, and on the western side some of the businesses just north of where the T2T finishes looks as if they're not even operating. looks very run down with nothing being maintained. I think it won't be long before they continue demolishing where the T2T demo stopped. Two separate traffic tunnels bored beneath South Rd are being seriously considered by the State Government as the multibillion-dollar fix for the city’s major motorway. The Sunday Mail can reveal designs for the possible engineering solution, which it is hoped could avoid the need for huge expense and disruption by buying up properties on the surface. The so-called “hybrid tunnel” solution would feature one underground stretch between the River Torrens and Anzac Hwy, where traffic would return to using existing infrastructure including under and overpasses, before going below ground again from Edward St to Tonsley. The Government is also considering one super-tunnel from the completed Torrens to Torrens project to the Darlington Upgrade now underway, and a surface-level option. However, indicative timelines provided by the Department of Planning, Transport and Infrastructure suggest major construction may not be finished for another decade. Transport Minister Stephan Knoll said a decision on the best path forward would be taken this year, and the Government would chose the best option rather than the cheapest. He said a tunnel could cost more, but create less disruption for residents and businesses. “When we were looking at a long tunnel, it became apparent that a hybrid tunnel could deliver a better balance of traffic flows,” Mr Knoll said. “There was a suggestion that other arterial roads could have all their traffic sucked up into South Rd, creating more bottlenecks. Designers also believe the twin tunnels option will allow more people to get on and off the rebuilt South Rd, rather than it being commonly used as an express route for 10km. Mr Knoll said the Government was “very keen in the decision making to factor in what this is going to mean for businesses and communities along that corridor”. The Government will receive a final business case in the coming months. It has not released cost estimates, but the price tag is expected to total several billion dollars. The Government last year committed to the Regency Rd to Pym St upgrade, which will complete a 47km non-stop free flow roadway between Gawler and the River Torrens. The area between Thebarton and Oaklands Park is the last piece of the puzzle in completing a non-stop South Rd and follows major builds including the northern and southern expressways. A South Rd planning study released by the Federal Government in 2015 estimated a cost of $596 million for land purchases alone before heavy construction could start on upgrading the road from Gallipoli Underpass to Darlington. A further $375 million was estimated to buy land north of Anzac Hwy so work could start to reach the Torrens to Torrens upgrade. A concept image of the River Torrens to Darlington Project. Federal Cities, Urban Infrastructure and Population Minister Alan Tudge said finishing a non-stop South Rd from Gawler to Old Noarlunga would “make a huge difference” for Adelaide. “It’s been truly fantastic to see the Marshall Liberal Government working hard on the business cases for the remaining stages, which will be the most complex,” he said. Former prime minister Tony Abbott in 2013 said he wanted to finish South Rd in a decade. SA Opposition transport spokesman Tom Koutsantonis said that timeline was set to be “blown out of the water”, and state Liberals had failed to secure the cash to deliver the build. “South Australians just can’t trust what the Commonwealth promises on South Rd,” he said. “We were told, when Premier Steven Marshall was elected, that he’d have a better relationship with the Federal Government. That’s turned out to be very much a one-way relationship. Mr Koutsantonis also raised concerns about how the state component of the build would be funded, given Mr Marshall’s first Budget included a significant increase in SA’s forecast debt.